We are pleased to share with you an exciting new international scientific publication authored by Dr. Beth Gardner from the School of Environmental and Forest Sciences, University of Washington, Seattle (USA) and co-authored by Dr. Rahel Sollman from the Department of Wildlife, Fish, and Conservation Biology, University of California, Davis (USA); Dr. N. Samba Kumar, Dr. Devcharan Jathanna, and Dr. K. Ullas Karanth from the Centre for Wildlife Studies (India). The paper titled “State space and movement specification in open population spatial capture–recapture models” was published in the international journal Ecology and Evolution. It can be accessed online at https://doi.org/10.1002/ece3.4509. The paper reviewed powerful methods of estimating and obtaining realistic representations of wildlife population. The Open Spatial Capture-Recapture (SCR) models studied in the paper make efficient use of available data and explicitly incorporate animal movement. 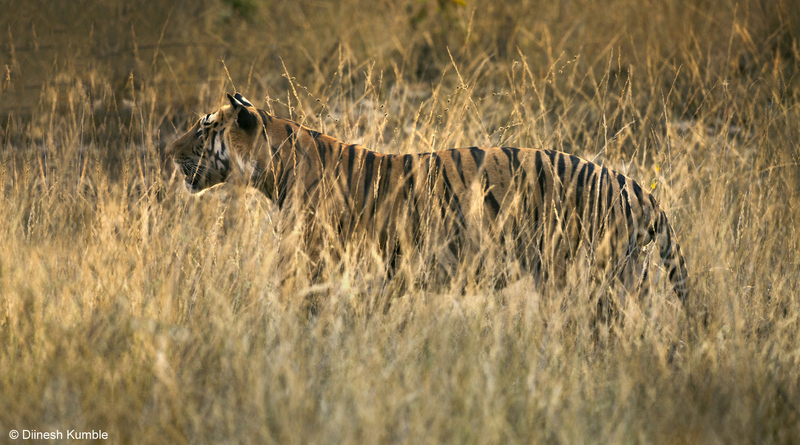 The scientists made recommendations on the innovative use of tiger camera trap data to boost conservation success. To check for potential issues with these models, the scientists applied them to a 10-year camera-trapping dataset of tigers from Nagarahole NP in southern India. The dataset had earlier been analyzed using non-spatial capture-recapture models. The scientists concluded that careful planning and implementation of Open SCR modeling can provide accurate animal demographic rates, an essential component of ecological studies.